Our hospital provides services 24 hours a day 7 days a week. Handicap parking and patient drop off are available at the front entrance. Welcome: We're Ready to Help with Your Recovery. At Swisher Memorial HealthCare System, we understand there are times when a patient no longer needs the acute care they receive in our hospital- yet they may not feel strong enough to return home. For those patients, we offer a comforting alternative. Our Swing Bed Post-Acute Rehabilitation Program is designed to provide patients with individualized, in-hospital care and physical rehabilitation to help them reach an optimal level of functioning. 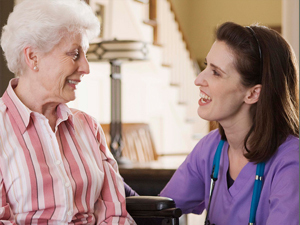 This post-acute care is designed for patients who are discharging from acute care, but need temporary additional care that cannot be provided at home or in a long-term care facility. What About Visiting My Loved One? Patients need the support and encouragement of their friends and family, whom we invite to visit often. If you have a visitation request outside our normal visiting hours, special arrangements may be made by contacting the nursing staff. 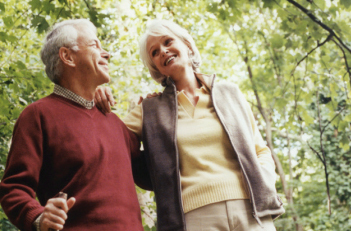 Family members are encouraged to attend care conferences for their loved one. Visiting hours are open but we encourage you to check with admission or the main desk prior to visiting to make sure you visit occurs at the most appropriate time for the patient. A patient must be hospitalized as an "Acute Care Inpatient" (not an "Observation Patient") for a minimum of three consecutive midnights within a 30-day period. Admissions can come from any hospital, including our hospital, after three consecutive mìdnights as an inpatient in acute care. A physician order is not required. You or your family can request that your social worker or discharge planner refers you to the Swisher Memorial HealthCare System Swing Bed Program. We recommend that you contact your insurance company for specific coverage before making any health care decisions. Physicians: Board certified Family Medicine physicians care for each patient and are available 24 hours a day. These experts may also request consultations with other specialists during your stay. care to each patient. A Registered Nurse also coordinates with the referring institution to ensure that you have a smooth transition into the program. In addition, your patient care team works with your insurance company to determine eligibility and coverage for benefits. Dietician: Our licensed dietician can complete a dietary evaluation to determine your nutritional needs, track your progress, make dietary recommendations, and provide nutritional education. Rehabilitation Team: Our comprehensive rehabilitation team includes physical therapists, occupational therapists, and speech-language pathologists. Services provided include strength and endurance training, range of motion and therapeutic exercise, and gait training. Pharmacy: Our clinically trained pharmacists are available 24/7 to advise physicians on the dosages, interactions, and side effects of medications. They can also answer patient questions about prescription drugs. Social Workers: Our social workers provide psychological support, care coordination, and discharge planning. 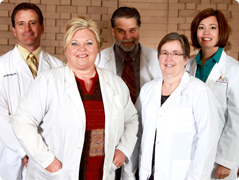 The multidisciplinary team creates a personalized plan of care for each new patient. They also work to ensure that the appropriate health care and social services support and resources have been identified and coordinated for you upon discharge. What Happens Afterthe Swing Bed Program? Each patient makes progress based on individual medical needs and rehabilitative potential. The multidisciplinary team will continuously monitor your progress and evaluate new goals until they determine you are ready for discharge. Your patient care team will assist you with discharge and a therapist may visit your residence to complete a home safety evaluation. Therapists can also educate you and your family or caregiver on safe body mechanic techniques and practical adjustments that can be made in your home or residential facility. You may be referred to home health or rehabilitation services for additional therapies to help you attain your long term recovery goals. This may include learning how to use adaptive devices and assistance equipment properly, learning exercise techniques you can use at home, and learning preventative measures that reduce risk of injury and falls.